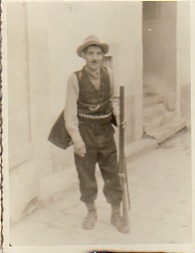 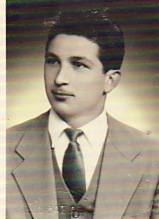 Stamatis was born in Athens and grew up in Mytilene. 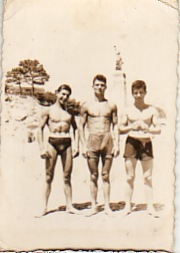 Above Right: With my brother, Vasilios, and cousin, Nikolaos. 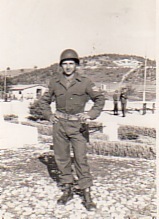 Above With friends at Mytilene's Statue of Liberty. 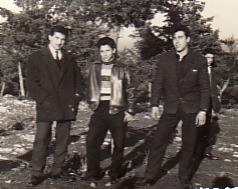 L-R: Stamatis, Mihail Samiotis and Panagiotis Tsivgoulis. 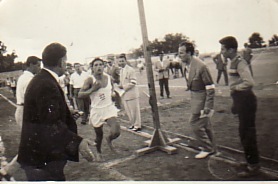 Above Right: Running first in the 15,000 metres at a track meeting in Mytilene's Stadium, Tarla. 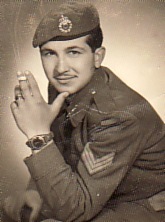 Above: Three portraits of me- during my National Service and as a young man. 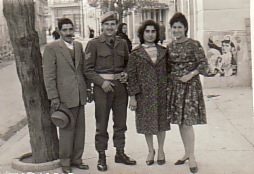 Above: Mytilene- with my father, Dimitrios, my fiance, Penelope (Kouba) and my sister, Sophia. 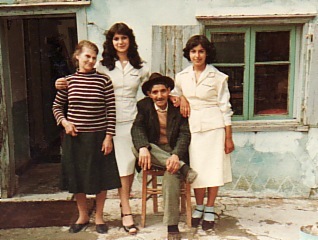 Above Right: My parents, Magdalene and Dimitrios, with Magdalene and Dimitra.